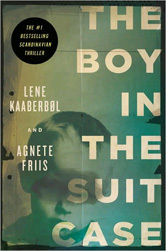 Scheduled for November release in the U.S. by Soho Press, The Boy in the Suitcase, by Agnete Friis & Lene Kaaberbol and translated from the Danish by Lene Kaaberbøl, is an unrelenting roller-coaster ride of a thriller/crime novel with a vivid cast of characters and an unusual "hero." It's also one of the best books I've read this year. The first sections can be a bit confusing, but all will become clear if the reader just sticks with it. Four threads interweave without any connections being made until much later. In a sort of prologue, someone who has been asked to pick up a heavy suitcase decides to see what's in it before she puts it in her car, and discovers a young boy, alive, neatly folded into it. From there, we meet Jan, an anxious architect; Jucas, an obviously shady character who yearns for a normal family life with his girlfriend but has one more job to do; Sigita, a Lithuanian single mother who has been plunged into a paranoiac's nightmare; and Nina, a nurse who seems to be fleeing her family responsibilities by becoming involved in rescue missions. All of the people are caught up in a plot wherein nothing goes according to plan, beginning with an airplane delayed when it strikes a seagull and cascading from there on. The outlines of what's going on become clear gradually, with the true nature of the plot becoming clear between half and two-thirds of the way into the book. Along the way, we gain and then lose sympathy and respect for the characters, resulting in a fully drawn and multivalent cast. Nina in particular, obsessive-compulsive or perhaps high-functioning autistic, launching into rescue missions less from bravery than from anxiety, emerges as a new sort of icon for crime fiction. Agnete Friis, according to Soho's p.r., is a children's book writer and Lene Kaaberbol is a fantasy author, and neither had written crime before their collaboration. Perhaps the vivid quality of the writing has something to do with their diverse backgrounds, and their fresh take on the crime and thriller genres may derive on part from their non-crime writing careers. Whatever the reasons, The Boy in the Suitcase is the impressive beginning to what is reportedly a series (hinted at in the last pages of the novel) featuring the unconventional, troubled, and determined Nina. More, please. I read an advance reviewer's copy of The Boy in the Suitcase, and I always wonder whether it's best to time a review to coincide with the publication of the book (when readers can actually get hold of the book) or to preview it (especially with a book I am praising, is better (to whet readers' appetites. Let me know what you think, or what you do in your own blog in cases like this. I think Soho has mixed something up because Kaaberbøl writes fantasy for children (my daughter has read two of her series), but as far as I know Friis was a journalist who had not written fiction beforehand. I am so pleased that you liked this one; it is one of the best, Danish thrillers I have ever read. Thanks, Dorte--I had seen some contradictory stuff about what the writers had previously done, but took Soho's word for it (we'll get their backgrounds sorted out eventually). Sounds like a terrific thriller of a ride. Cannot wait until it's available over here in the States. Great review, as ever, Glenn. Looking forward to reading this one if/when available in UK. 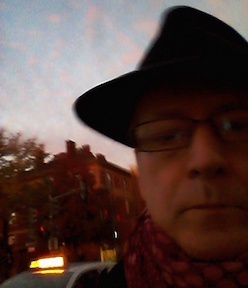 There is some excellent translated crime fiction coming out just now - Asa Larsson, Theorin, Indridason, Nesser, Fossum - and many new to me authors.